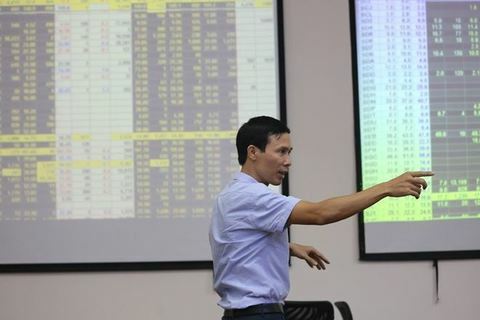 Vietnamese shares ended this week down following the conclusion of the domestic exchange-traded fund VFMVN30 ETF’s portfolio restructuring on Friday that drowned many large-caps. Investors’ focus was shifted to the at-the-close session when the fund completed its portfolio restructuring. 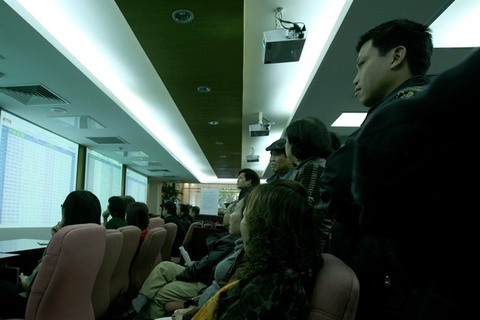 During the process, the fund decided to cut their proportions of some Vietnamese shares, prompting them to fall sharply. It also added some other stocks to its new list. The market will be shut down during the Tet (Lunar New Year) holiday, from February 4 to February 8. The benchmark VN-Index on the Ho Chi Minh Stock Exchange inched down 0.22 per cent to close at 908.67 points. 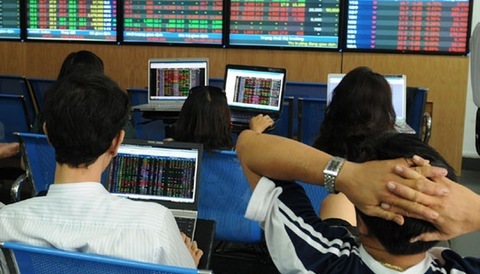 The HNX Index on the Ha Noi Stock Exchange edged up 0.44 per cent to end at 103.34 points. 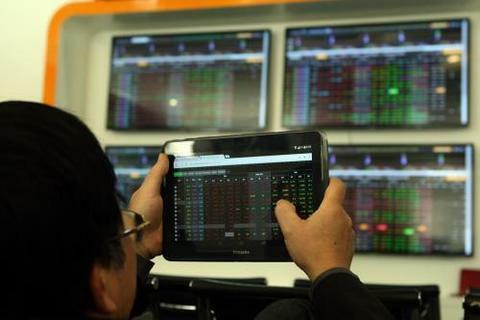 More than 156 million shares were traded on the two local exchanges, worth VND4 trillion (US$173.5 million). Real estate, securities, mining, retail and construction material companies were among the firms that lost ground on Friday. The industry indices respectively decreased 0.04 per cent and 3.81 per cent, data on vietstock.vn showed. Large-cap stocks also performed poorly with the blue-chip VN30 Index down 0.72 per cent to 859.81 points. Of the 30 largest stocks by market capitalisation in the VN30 basket, 16 decreased including real estate developer Vingroup (VIC), confectionary producer KIDO Group (KDC), Coteccons Construction Joint Stock Company (CTD) and steel maker Hoa Phat Group (HPG). KDC hit the daily limit decline of 7 per cent. Vingroup (VIC) dropped 5 per cent to close at VND98,800 per share. CTD fell 2.4 per cent to trade at VND132,400 per share. HPG extended its decline when losing 0.4 per cent to VND27,300 per share. On the other side, budget carrier Vietjet (VJC) increased 1.5 per cent to trade at VND125,000 per share, consumer staple Masan Group (MSN) rose by 0.7 per cent to VND78,400 per share. 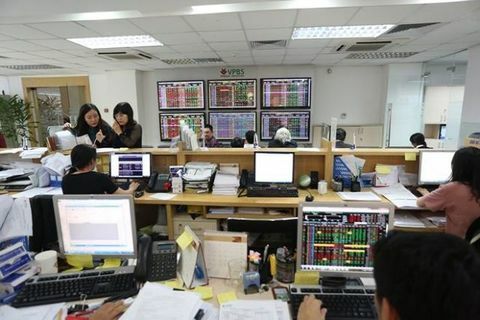 Notably, Vietnam Commercial Joint Stock Export Import Bank (EIB) soared, hitting the daily limit rise of 7 per cent as it was the stock added to the list of VFMVN30 ETF today. 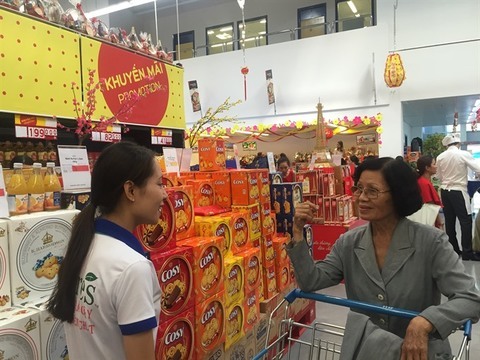 Foreign investors today bought a net of VND170.5 billion on the HOSE, focusing on SCSC Cargo Service Corporation (SCS) (VND28.87 billion), dairy firm Vinamilk (VNM) (VND60.54 billion) and Vincom Retail (VRE) (VND59.38 billion). They bought a net of VND4.88 billion on the HNX. According to BIDV Securities Company (BSC), the market has a slight correction with strong profit-taking sentiment. 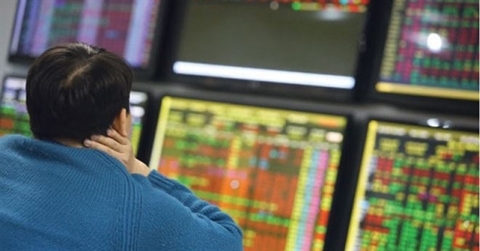 Investors should monitor macro movements in the Tet holiday before making investment decisions in the beginning of the lunar year, the company said in its report.